Basket Side Table - 28x16x12? CLOSEOUTS. 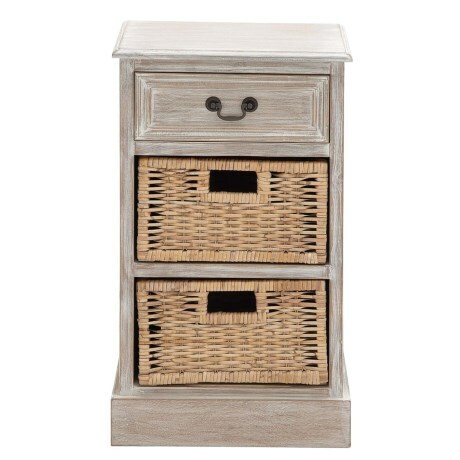 UMAand#39;s basket side table offers a country-inspired design with two charming rattan wicker basket drawers. Available Colors: WHITE/NATURAL.